Want to broaden your knowledge but never seem to have the time? At 50Minutes.com, we understand that it can be difficult to find concise and informative books on subjects you are interested in. Our titles focus on what you really need to know, complemented by practical tips and enlightening facts, saving you time as well as making your learning experience more enjoyable. Our straightforward style and practical format make the information easier to digest and remember, enabling you to become an expert on culture, discuss history and politics in depth or review your personal and professional development in next to no time. Eager to learn more about exactly what you’ll be getting? We’ve got you covered. Once you choose to download a title, it’s yours to keep and use as and when you like. 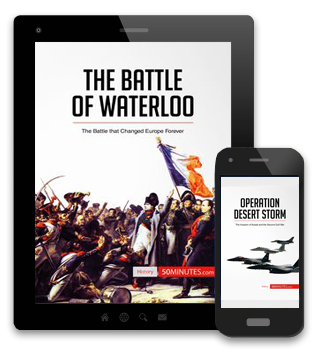 All our titles come in PDF format, so you can access them even when you’re offline. You can print all our titles to add as many notes and annotations as you want. Our titles are compatible with all devices, from computers to tablets to mobile phones.